Death Walks in Eastrepps is the result of a collaboration between Hilary St George Sanders (1898-1951) and John Palmer (1885-1944), written under their pseudonym Francis Beeding and originally published in 1931. The whodunit opens with Robert Eldridge travelling on a train from Fenchurch Street Railway Station to Eastrepps and a clandestine meeting with his lover, Mrs Margaret Withers. 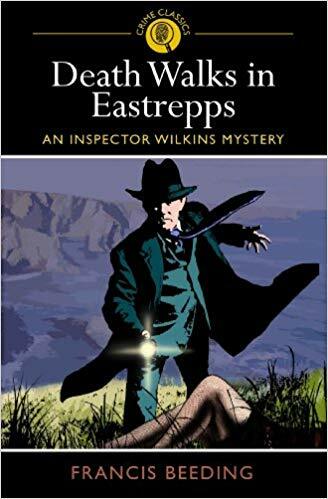 Eastrepps is a popular and peaceful seaside town where the “big case” baffling its ineffectual Police Inspector Protheroe relates to unsolved incidents of poaching on the property of the local landlord. This is, of course, about to change and a violent murder shatters the town’s tranquillity plunging Protheroe into an investigation that is clearly beyond his capabilities. A second murder quickly follows, and Scotland Yard send a team led by Chief-Detective Inspector Wilkins to work alongside Protheroe and his more competent Section Sergeant Ruddock, but the police officers are unable to halt what soon proves to be a killing spree as the body count rises. Public confidence in the authorities begins to wane when motive for the atrocities cannot be established. People are naturally reluctant to venture out after dark whilst there is a murderer in their midst, and the tourist trade so vital to Eastrepp’s economy is wiped out by the negative press that the town receives. This is a gripping novel; the authors successfully weave together a variety of subplots to create a murder mystery in which suspects are plentiful and red herrings abound. The characters are well rounded and interesting, and the book is beautifully crafted so that the reader is kept guessing until the last pages of the text. Once described as “one of the ten greatest detective novels of all time” the story had me hooked from beginning to end. A thoroughly enjoyable and highly recommended read. Francis Beeding is the pseudonym used by two British male writers, John Leslie Palmer (1885-1944) and Hilary St George Saunders (1898-1951). The pseudonym was a joint effort and was apparently chosen because Palmer always wanted to be called Francis and Saunders had once owned a house in the Sussex village of Beeding. John Leslie Palmer was born 4 September 1885. He was an English author. Under his own name, he wrote extensively about early English actors and about British literary figures. He also wrote fiction under the collaborative pseudonyms Francis Beeding, Christopher Haddon, David Pilgrim and John Somers. He died 5 August 1944, in Hampstead. Hilary Aidan Saint George Saunders MC was born 14 January 1898 in Clifton, Bristol. During WW1 he commissioned into the Welsh Guards and served with 1st battalion on the Weston Front. He was awarded the Military Cross for an action on 6 November 1918 near Bavay in northern France. Saunders went by several noms-de-plume: Francis Beeding (writing in tandem with John Palmer), "Barum Browne" (with Geoffrey Dennis), "Cornelius Cofyn" (with John deVere Loder), "David Pilgrim" (with John Palmer), and "John Somers" (with John Palmer). Saunders was Librarian of the House of Commons Library from 1946–1950, when he retired because of ill health. He died 16 December 1951. Dot Marshall-Gent worked in the emergency services for twenty years first as a police officer, then as a paramedic and finally as a fire control officer before graduating from King’s College, London as a teacher of English in her mid-forties. She completed a M.A. 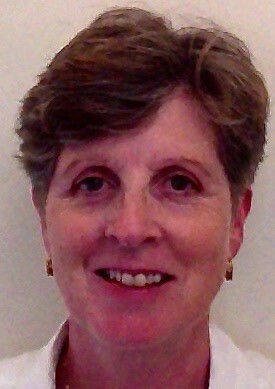 in Special and Inclusive Education at the Institute of Education, London and now teaches part-time and writes mainly about educational issues. Dot sings jazz and country music and plays guitar, banjo and piano as well as being addicted to reading mystery and crime fiction.